Video: Houthis Eliminate Soviet-made T-34-85 Battle Tank Of Saudi-led Forces 5 out of 5 based on 7 ratings. 7 user reviews. Ansar Allah (also known as the Houthis) has eliminated a T-34-85 battle tank used by Saudi-led forces in Yemen. The battle tank was destroyed with an anti-tank guided missile in the area Damt. Maybe Saudis should invest in KV I or KV 85 tanks in this Houthi fight, the rear torrent mg may also come in handy. A Russian museum would also have given this tank pride of place, I am sure. I would prefer to see the Tank on display at Borodino, South of Moscow, where the French and the Germans clashed with Russian forces. 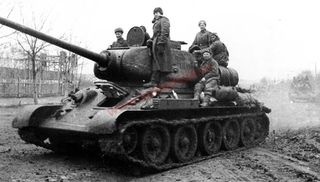 The T34-85 had a larger turret than the -76. And a larger main armament of course. 85mm packed a lot more punch, and at last a 3 man turret. Germans used PZIV chassis for many things, including JagdPZIV tank hunter. I don’t think so. Russia got a bunch of working T-34 from Laos a few weeks ago. Have any of them got a WW2 pedigree ? Interesting, do you happened to have a link with info about this tank? Fascinating, thank you. With a pedigree like that, the T34 would have been worth a fortune. How would a T-34/85, which was first produced in March 1944, see action in a battle in August of 1943? Cost of the ATGM was probably higher than the value of the tank. 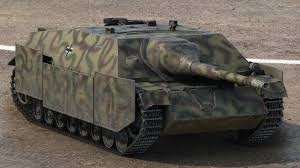 What would be the best modern light tank in service today? ksa zionist sand muppets and their completely inept mercs. The Saudi scum must have run out of Americunt and Froggie Abrams and LeClec junk to bring out WW2 armor. What a waste of a Kornet though. It could have been taken out by a RPG.